Few subjects stir the imagination more than the study of how people across cultures deal with death and dying. 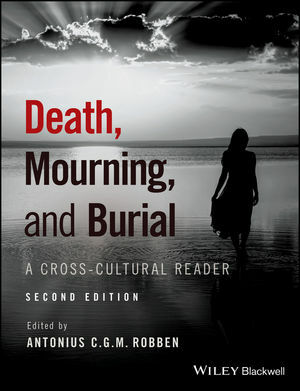 This expanded second edition of the internationally bestselling Death, Mourning, and Burial offers cross-cultural readings that span the period from dying to afterlife, considering approaches to this transition as a social process and exploring the great variations of cultural responses to death. Exploring new content including organ transplantation, institutionalized care for the dying, HIV-AIDs, animal mourning, and biotechnology, this text retains classic readings from the first edition, and is enhanced by sixteen new articles and two new sections which provide increased breadth and depth for readers. Death, Mourning, and Burial, Second Edition is divided into eight parts reflecting the social trajectory of death: conceptualizations of death; death, dying, and care; grief and mourning; mortuary rituals; and remembrance and regeneration. Sections are introduced through foundational texts which provide the ideal introduction to this diverse field. It is essential reading for anyone concerned with issues of death and dying, as well as violence, terrorism, war, state terror, organ theft, and mortuary rituals. ANTONIUS C.G.M. ROBBEN, PhD, is Professor of Anthropology at Utrecht University, the Netherlands, and past President of the Netherlands Society of Anthropology. His authored books include Political Violence and Trauma in Argentina (2005), which won the 2006 Textor Prize from the American Anthropological Association, and his edited work includes Ethnographic Fieldwork: An Anthropological Reader, Second Edition (Wiley Blackwell, 2012) and the forthcoming A Companion to the Anthropology of Death (Wiley Blackwell, 2018).